On our walk at Lochan Mor we saw our first damselfly of the year. She was a real beauty and we enjoyed watching her fly by. It is always a fine balance, having a camera and the desire to be non-intrusive with the wildlife that we see. I was happy to let a photographic opportunity slip by and be fully present in the moment. When I looked up, the blue colours from the sky reflected in the loch on the far side were the exact colours of the damselfly. I have posted photographs of this loch before with the water lilies in bloom and in Winter when it was frozen. As of today I have found a new favourite. Camera: Canon Powershot SX60 HS, Settings: f/5.6, 1/100 s, ISO 500 and f/5, 1/160 s, ISO 100. Camera: Panasonic Lumix FZ200, Settings: f/3.5, 1/160 s, ISO 100 and f/2.8, 1/125 s, ISO 100. We want to say a very big thank you to the Daily Post for their Weekly Photo Challenge where photographers from all over the world came together and shared their interpretations on a given theme. It was a very special place and we met so many lovely bloggers there. Today the team at the Daily Post are running their final Weekly Photo Challenge and invite us to share some all-time favourites. We hope you enjoy them too. 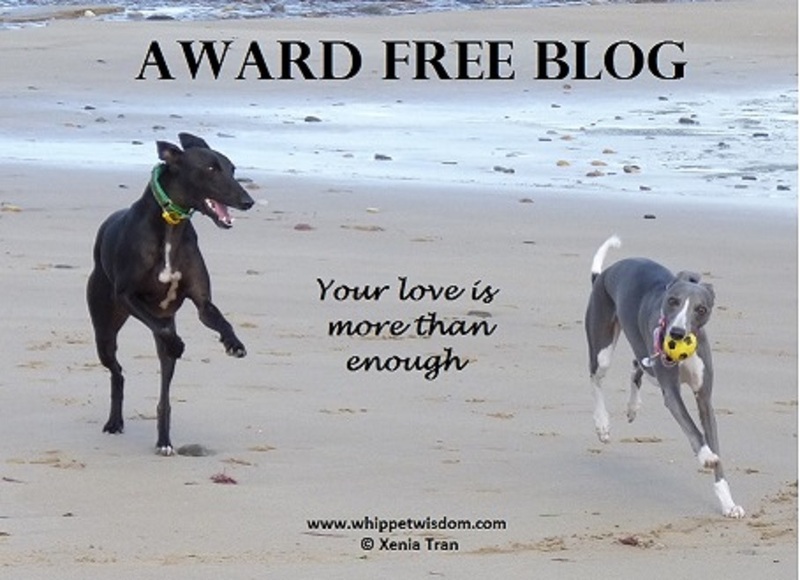 Author whippetwisdomPosted on May 23, 2018 Categories animals, dogs, photography, weekly photo challenge, wordless-wednesdayTags beach, photography, rescue dog, weekly photo challenge, weekly photo challenges twisted, whippet, wordless-wednesday27 Comments on Wordless Wednesday: Play Time! Camera: Panasonic Lumix FZ200, Settings: f/7.1, 1/800 s, ISO 100 and f/5, 1/1250 s, ISO 100.